Nov 12, 2015 - Again, SGK was honored to represent HP in such big event by Dassault Systemes, Solidworks 2016 Innovation Day. 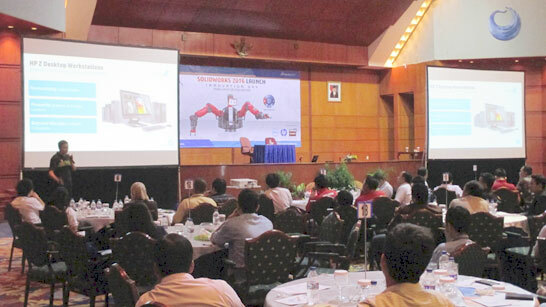 Hundreds of Dassault Systemes customers attended to see Solidworks 2016, as this was also intended to become SW 2016 launch event in Indonesia. HP Z Workstations attracted many attendees as Zbook was being used to design and simulate a unique own scratchbuilt F-16 XL parkjet, converted it to UAV platform using Zbook 14. And it flew really well. 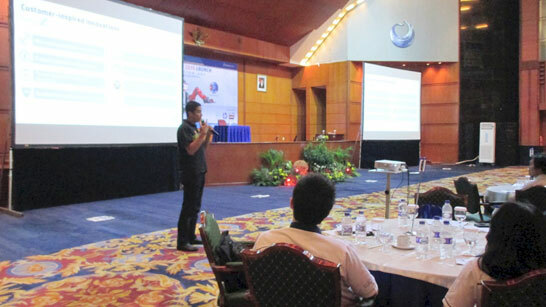 July 1, 2015 - As Indonesian government central bank (Bank Indonesia) announced the regulation to have IDR as the legal currency to do any kind of transactions in Indonesia region, Sentra Grafika Kompumedia (SGK) confirms its compliance to support strengthening IDR as our national currency. Starting July 1st 2015, customers may joy the use of our national currency (IDR) in every purchase of products through SGK. US dollar (USD) will become our reference price and may be used as budgeting purposes only while purchase of any products, will be done in Indonesian Rupiah (IDR). Below, is the Frequently Asked Questions of the new regulation. 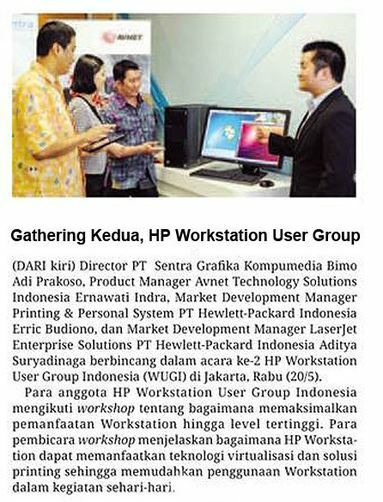 May 20, 2015 - Following the first HP WUGI (Workstation User Group Indonesia) gathering event last November, Sentra Grafika Kompumedia as the initiator of HP Workstation User Group Indonesia along with Avnet Datamation Solutions and of course Hewlett Packard Indonesia, successfully conducted the 2nd HP WUGI gathering on May 20, 2015. 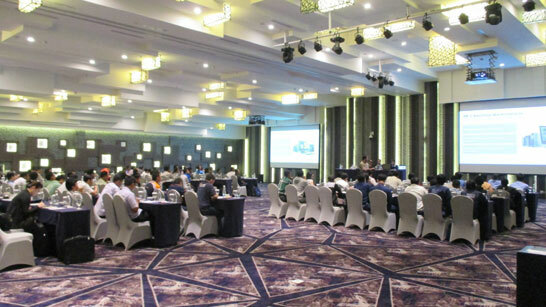 This 2nd gathering was also gaining more momentum as more engineers and designers, as well as enthusiasts and IT professionals were gathered to exchange any latest updates on any technologies related to HP Workstation. 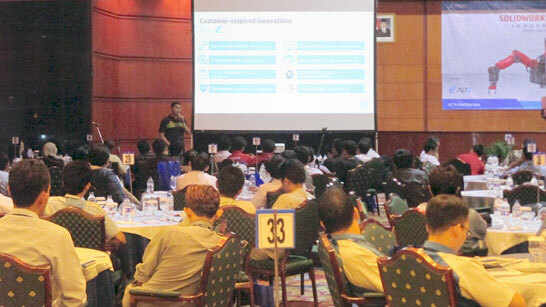 In this gathering, it was also discussed and showed how HP Workstation both Personal and Mobile Workstation could perform very well in virtualization. 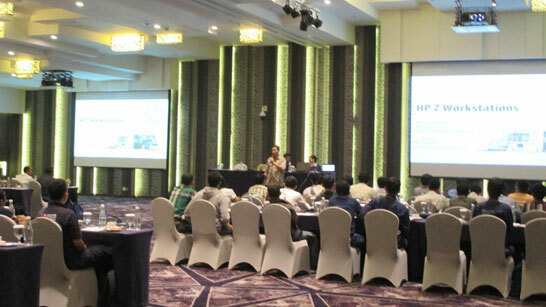 Delivering top notch performance while being operated by multi-users as multi-seat was also a jaw-dropping presentation when all the HP WUGI members saw that there's no noticed performance drop in interactivity when doing multiple intensive calculations such as rendering and FEA (finite element analysis). It was also being covered by media and posted in some national newspapers and news portals. March 16, 2015 - We're proudly announcing the new delivery mechanism to existing and new customers, for McNeel Rhinoceros 3D. Starting this March 2015, all delivery of Mc Neel license and software products, will be done through electronic delivery. License (Serial Number on every McNeel software products) will be sent automatically to customer's email address once order is processed completely. A download link will be provided within the same email notification so the customer could download and use the software immediately. Through this new delivery mechanism, no time will be wasted. Internet connection is required to activate the license once installed. It is now a standard delivery mechanism as we're integrating our system with McNeel's eLIS (Electronic License System) so the customer could benefit more from the new delivery mechanism. Place your order, and get your license immediately. HP Workstation Quote Request Page Has Been Updated with New HP Z Workstation Family! March 13, 2015 - We have just updated our new HP Z Workstation family quote request page with new HP Z440, HP Z640 and HP Z840 workstation family. We added more components, software and options as well, to extend the choice of our customer's requests on some certain requirements. This ensures our continuing support to all of our existing and new customers.